Your heater is a big investment in your home, so you want it to last a long time, right? Luckily, your heater has a long system lifespan, but to reach its full potential it needs the proper maintenance and care. 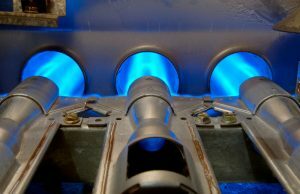 Maintaining your system on an annual basis is how you ensure that your heating system lasts over a decade. Annual maintenance is great because it allows you to detect any problems with your system before they become system threatening problems that end up in a breakdown. Fixing these problems early lets you add a longer lifespan to your system because it eliminates any system inefficiency or inconsistencies before they pose a threat to your system. When you have a trained professional from our team come out and maintain your system it helps boost your energy efficiency. Our maintenance includes tune-ups, realignment, and recalibration of your system as needed. Fine tuning of your system allows peak performance. When there’s a lot of system inefficiency, your system works against lots of obstacles to heat your home. When you have a trained professional maintain your system, we’ll fix these problems and boost your home’s energy efficiency. This boosts your efficiency and even lowers your heating bills in the process. The other great part of maintenance is that it helps you avoid repair services. Repair services are expensive, inconvenient, and inopportune during this time of year when the temperature gets colder and colder each day. When you maintain your system before winter starts, you’ll help protect your system against unexpected breakdowns. Maintenance is a simple service that helps you rest easy and keep your home warm all winter long. Although heating maintenance might be an extra expense, it’s a worthwhile service. It helps keep your system running long into the future, increases your energy efficiency, lowers your energy bills, and helps you avoid system breakdowns. If you’re looking for quality heating maintenance at great prices, contact Evans Plumbing Inc. today to schedule an appointment with our team.